After waiting two years for the government to follow through on the agreement, which includes full recognition of the U’wa’s ancestral territory and the clean-up of reserves affected by oil spills, the U’wa occupied the gas plant on May 31, 2016. The U’wa declared the lands were “invaded by Oxidental Colombia (sic.) and today by ECOPETROL”. The U’wa say that gas extraction in the region is altering the local climate and negatively affecting the U’wa’s health. Soldiers believed to belong to the Army Energy and Highways Battalion, have been stationed at strategic points on the road leading up to the plant since the blockade began, searching vehicles that enter the area. 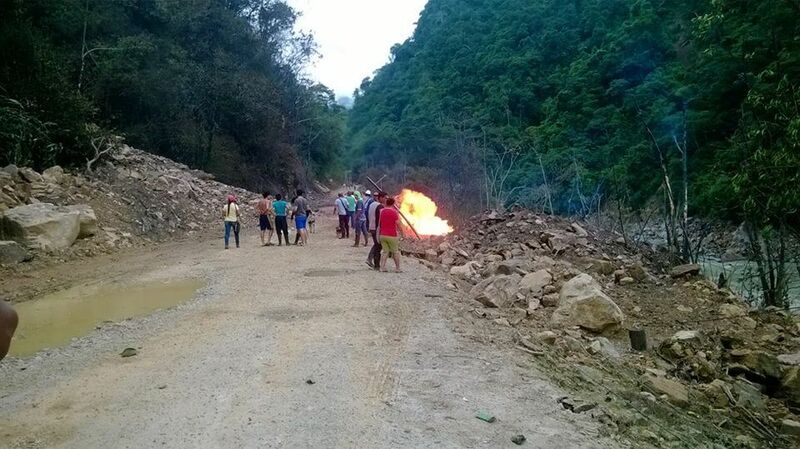 It is yet to be seen if the Colombian government will use the ruptured pipeline as a pretext to mobilize the ESMAD riot police or its military forces to violently evict the protesters from the Gibraltar I gas site. The U’wa protest surrounding the Gibraltar I is part of a larger nationwide strike, called the Minga Agraria, that saw 100,000 people take to the streets across more than half of Colombia’s departments to challenge the government’s neoliberal model of development. The Colombian countryside has been adversely affected by a set of neoliberal policies that favour monopolies, large-scale agribusiness, and multinational mining companies, at the expense of rural farmers, Indigenous Peoples, and Afro-Colombians. 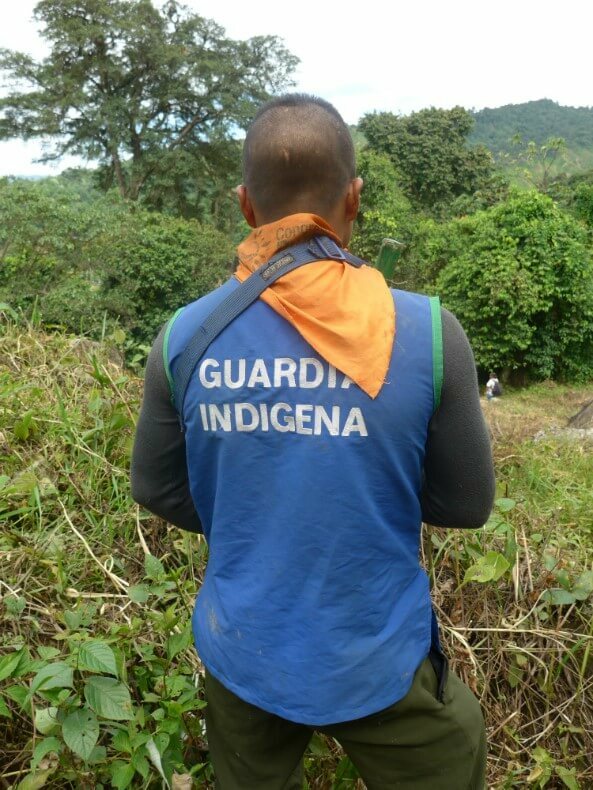 Despite the lifting of the Minga Nacional with government commitments concerning the Indigenous Guard and promises of a slightly increased share of resources for Indigenous Peoples, various U’wa communities assembled on June 13 claimed that they intend to continue with the blockade while the Indigenous Guard patrol the entrance to the site until their particular demands are met. 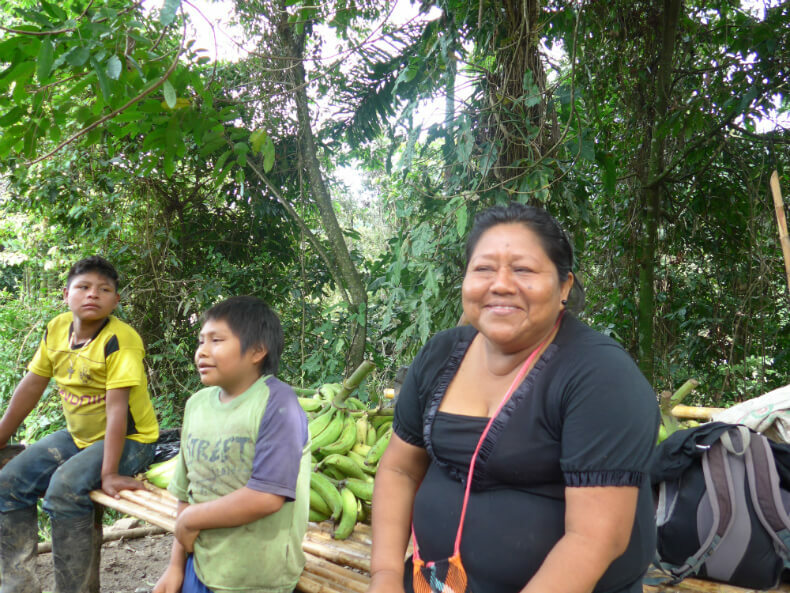 In the mountains on the opposite side of U’wa territory, the U’wa are taking a stand against tourism in the Cocuy National Park for its role in negatively affecting the region’s water supplies and ecosystems. In a statement on June 13, Asou’wa confirmed that they would continue restricting access to the national park, as they have been doing since February 19. 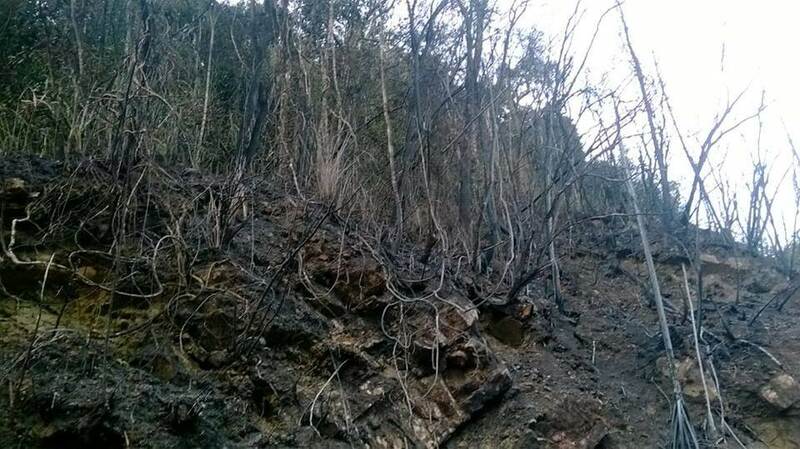 In addition to preventing any further environmental harm, the U’wa are trying to stop tourists from walking on El Cocuy Mountain, a sacred mountain they call ‘Zizuma’. Zizuma has been adversely affected by climate change, with 90% of its glacier-cover disappearing in the last 150 years. As far as the U’wa are concerned, these protests are a struggle for life itself. With a population just barely exceeding 6000 people across seventeen communities, in 2009 Colombia’s Constitutional Court identified the U’wa as being at risk of “physical and cultural extinction”. 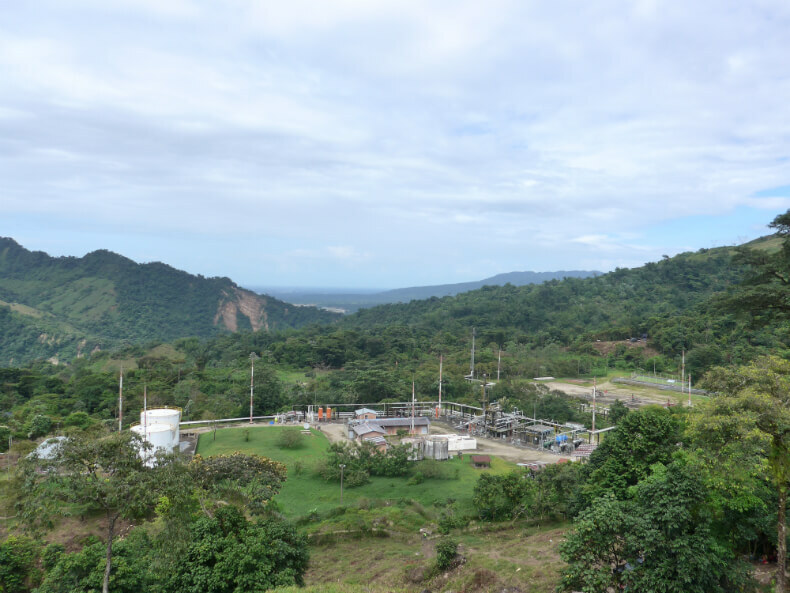 Ecopetrol argues that the Gibraltar site falls well outside U’wa territory as legally recognized by the Colombian state. The U’wa argue, however, that the site still lies within their ancestral territory and contains several culturally sacred sites. The U’wa people have been fighting against hydrocarbon exploration in their historical territory for the past thirty years. When the Colombian government originally recognized the U’wa reserve in the constitution, it deliberately omitted portions of the territory rich in oil reserves in order to exploit them. Since then the U’wa have had a “tense relationship” with the state, according to the Andrew Miller of Amazon Watch. American multinational Occidental Petroleum was granted licenses to drill for oil and gas in the late 1980s, but the company was successfully driven out of the area in 2002 after a prolonged campaign that saw the U’wa threaten collective suicide, and mobilize a broad international coalition to challenge Occidental’s plans to drill for gas. During the course of the resistance to the project, in 2000, violent clashes with police and armed forces also saw three U’wa children killed and five other members of the community disappeared. Since Occidental ‘s departure in 2002, the struggle has been against Ecopetrol. The state-owned company inherited all of Occidental’s drilling rights, and has steadily worked to expand hydrocarbon extraction across various sites. In 2015, there was a victory for the U’wa when Ecopetrol removed machinery and rigging from one such site in Magellanes. Ecopetrol, however, claims that the withdrawal is only temporary. 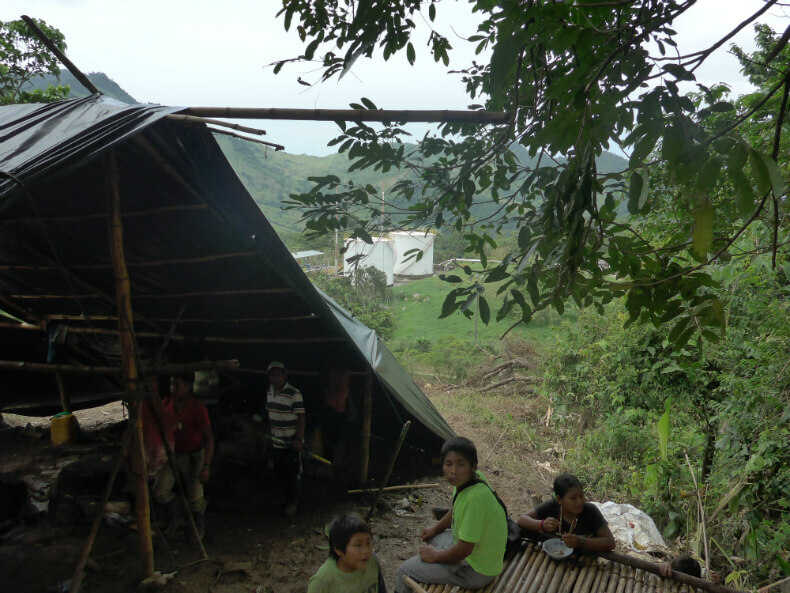 In addition to these frontline struggles, the U’wa have often found themselves caught between the government and rebel groups such as the Fuerzas Armadas Revolucionarias de Colombia (FARC) and the Ejército de Liberación Nacional (ELN). 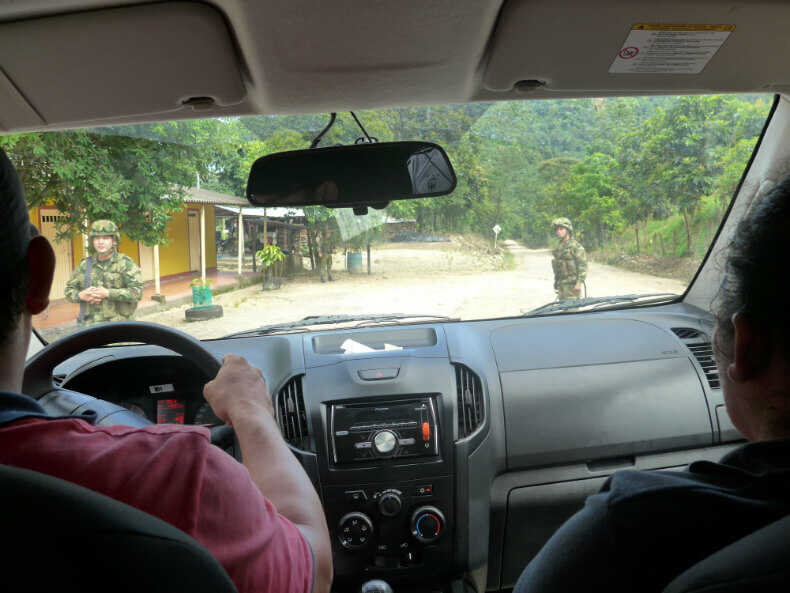 Last October, an ELN ambush resulted in the deaths of 11 soldiers and police as well as the disappearance of a local U’wa guide, and two soldiers, as they transported votes cast in a remote area. 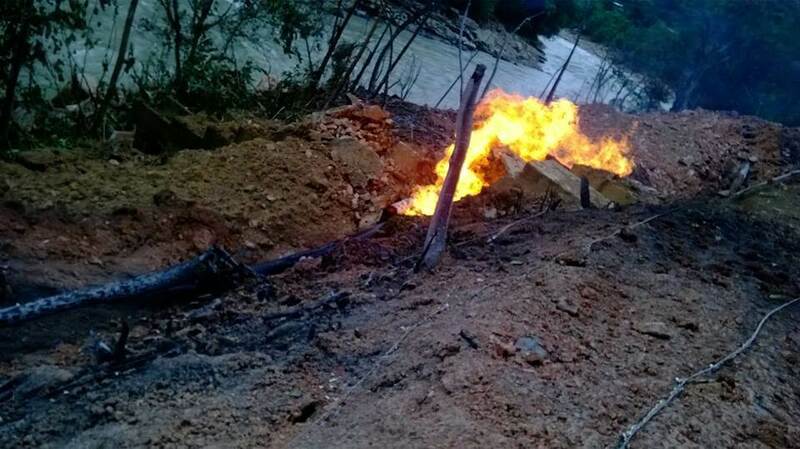 The Caño-Limón-Covenas pipeline, that carries oil to the Caribbean coast, has also been bombed hundreds of times, resulting in at least one catastrophic spillage in March 2014 inside U’wa territory.